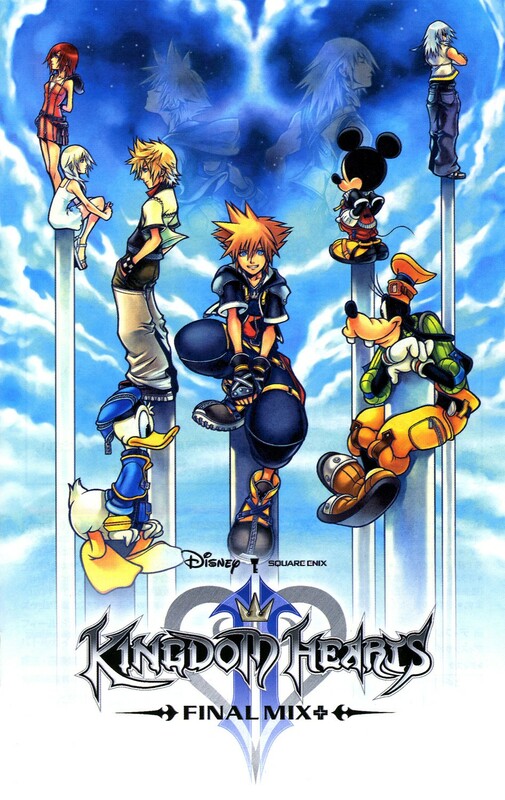 Kingdom Hearts II has consistently been considered the best game in the series by many. 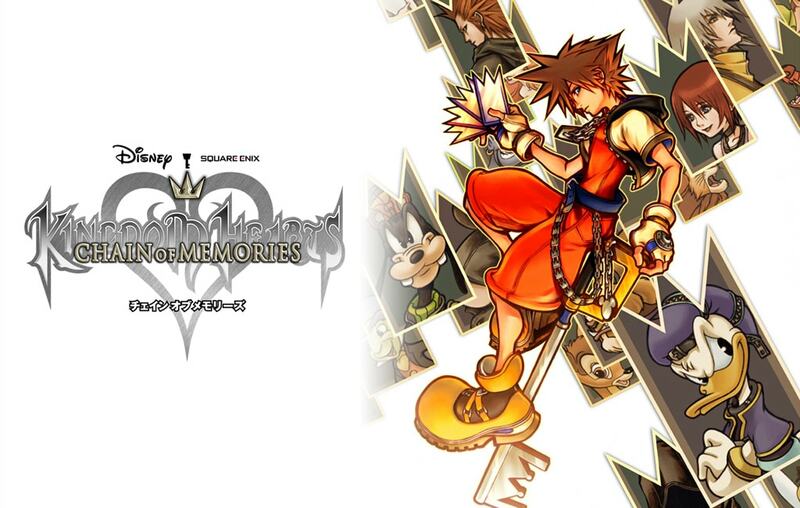 This despite the fact many people started getting confused by the Kingdom Hearts ConundrumTM (hence abbreviated to KHC), having jumped into it straight after KHI, even though the game definitely relies on your knowledge of Chain of Memories in order to really make sense of all the various plots in this game. That's still not my problem with the game, to be honest, as I mentioned in the previous entry, since I have been able to play the games in order up until now (someone please just get me a PS4 already ). Heck, maybe mentioning my problems right off the bat isn't the best thing to do, since - make no mistake - I still love Kingdom Hearts II. So let's start with the good. As big of a fan as I am of CoM's card battle system, KHII definitely feels like a much more refined version of I's battle system, making everything much more quick, snappy, and flashy as all hell. The various ways in which you can modify your combos are very fun, drive forms are cool to play around with (I'm a huge fan of Anti-form, fyi), and everything in general just feels so much more vibrant and exhilerating, with a final battle that I keep getting dreams about to this day. In fact, the gameplay is something I can say I enjoy immensely and don't really find the tiny flaws in it annoying. Yes, it's much too easy - even on proud mode it's the easiest game in the series to beat - and battles often dissolve into button mashing, but with reaction commands you sometimes have to *gasp* mash another button! The flashiness of the battles mean there's less of those methodical Keyblade swings from the previous two games, but hey - I'm always up for a good spectacle, and II doesn't disappoint in that regard. Also, RIP platforming puzzles, but if the game is much easier to navigate thanks to that, I just can't complain. And now we get to the story, which I really consider a mixed bag. No, I don't think it's confusing or convoluted or the end of the world or anything. Perhaps that's because I actually had the intended experience with CoM and could follow every story beat without the problem, on top of just being completely immersed in the original plot of KH, which was driven much more strongly in CoM than it was in Kingdom Hearts I. The main issue I have with II's plot is that it's filler, ironically enough. Yeah, that might sound weird, but from hindsight, now that we know what we know, II's role is answering some questions from CoM, and then setting up the story that gets built up on in the upcoming entries. Like, it's funny how Scotty and Wolf mention II disappointing them as a follow up to Deep Dive, when we now know Deep Dive was actually a teaser for another game that came after II. This half of the Organization is also far less charismatic and interesting (aside from maybe Xigbar, though I can't honestly tell how much of that is me projecting what I already know from later games, where he gets a lot of spotlight, and how much is him actually stealing the show in this game), with Xemnas's motivations being particularly hazy and, what do you know, the following games actually make this whole thing make much more sense. It's almost as if Nomura had come up with the story of 358/2 Days (at least!) 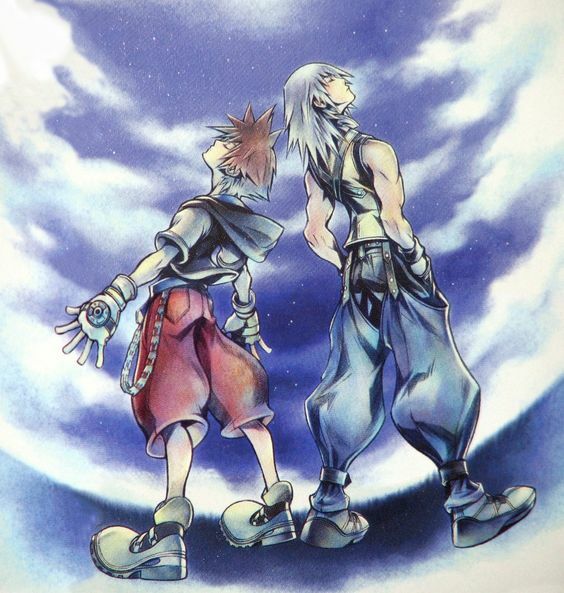 as part of what was supposed to make it to II, but then it all turned out to be too big and the actual fascinating character moments went into Days (explaining why someone like Riku is so badly mangled in the game while Days actually gives it enough context to make sense with his road to dawn philosophy), so that II could focus on the action. And yet, there is one shining diamond in the Kingdom Hearts II story that really makes me forgive all of the things I consider wrong about it. The Roxas prologue was one of the most fascinating, mysterious, and tense moments in the series. Add to that the heavy dramatic irony connected with the reveal at the end of it, plus the way it connects to what was already hinted at in Chain of Memories, and you have an excellent three-hour mystery story with a gut-wrenching ending. Somehow, 358/2 Days only makes it hit harder. But even if the plot is handled clumsily, there's plenty of lore advancement going on! Roxas is leading a peaceful life at Twilight Town, until Axel shows up, acting all buddy-buddy with him, despite Roxas not having any memory of him. Guided by Yen Sid, Sora &co. make their way to Hollow Bastion to meat up with Leon &co. so that they can stop the Nobody threat. Also, to find Riku and Kairi again, I guess. Organization XIII show up, stir some trout, and tell Sora to keep defeating Heartless with his Keyblade. At some point, Kairi gets kidnapped by Axel. After visiting some Disney worlds and fighting some Organization members, Sora gets back to Hollow Bastion (the only place where any actual plot happens, tbh) and learns about Ansem and Xemnas' true identity - Xehanort. He was an apprentice to Ansem who wrote reports under the name of his master. He's the one who brought Heartless to the world, and willingly turned himself into a Heartless (the main antagonist of KHI). 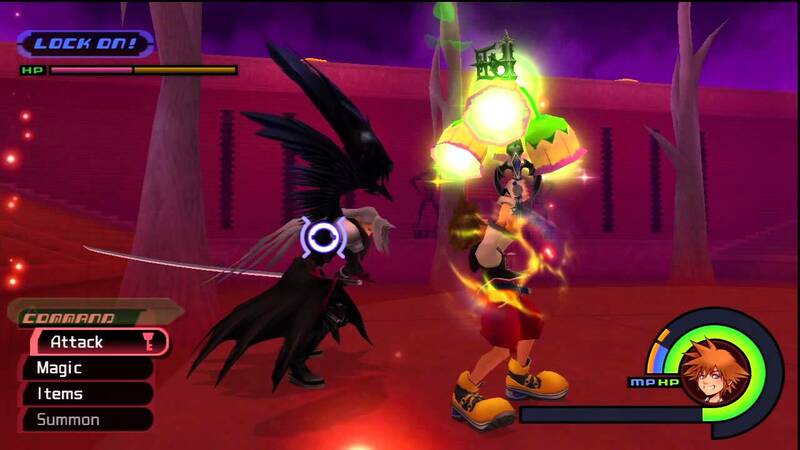 The real Ansem had been banished into the Dark Realm. The 1000 Heartless battle happens and Sora just gets kinda fed up with the Organization. Goofy dies but then gets better. Heading to the final showdown, Sora fights alongside Axel who later dies. 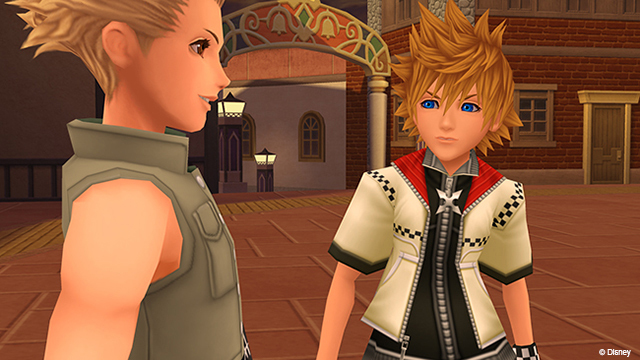 He tells him Roxas made him feel like he had a heart. 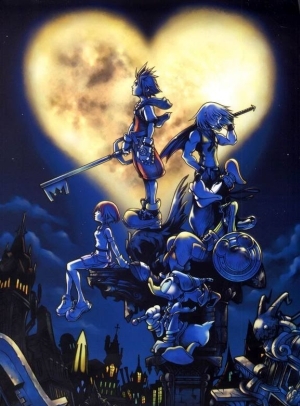 At the Headquarters of the Organization, the World that Never Was, Sora reunites with Kairi, as well as Riku who is trapped in the form of Xehanort's Heartless. With the power of friendship, he gets better. They also meet DiZ who turns out to be Ansem the Wise, and later blows himself up along with the false Kingdom Hearts created by Xemnas to atone for his sins. Namine is also there. She's actually Kairi's Nobody. 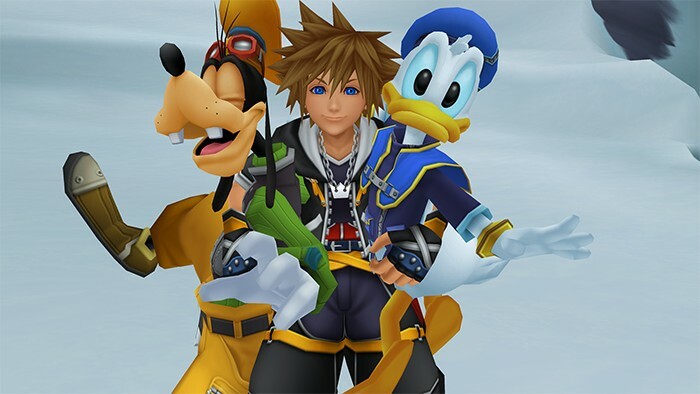 They merge back together, as does Roxas and Sora. Xemnas is defeated and they all return to Destiny Islands. Sometime later, however, a mysterious letter sent by King Mickey finds its way to the trio. Again, I want to say the entire intro with Roxas, but I'll say explornig the Mansion takes the cake. It's where all of Roxas' big reveals happen, it's dark, and the end is just horribly tragic. It gives me similar feels to the Hollow Bastion sequence in game 1. 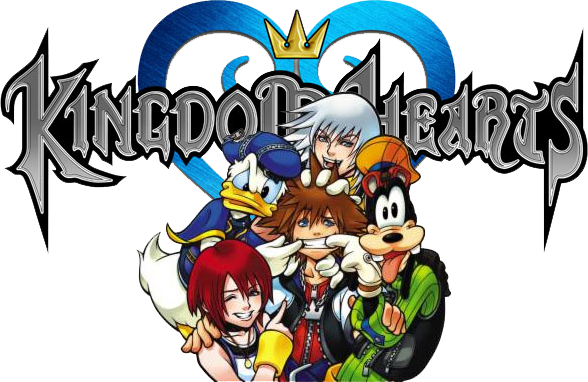 What are your thoughts on Kingdom Hearts II? Did you play it right after 1, or did you at least know what happened in CoM? What do you like about it? Feel free to take part in the discussion! KINGDOM HEARTS=>CHAIN OF MEMORIES=>KINGDOM HEARTS II=>????=>????=>????=>????=>????=>????=>???? Not the power of friendship actually, he returns to his true form after Ansem blows a hole in Kingdom Hearts, and they handwave it away with Mickey saying "Ansem did say anything could happen"
KH2 is my second favorite KH game. The gameplay, of course, is miles better than KH1. As for it being filler..we must just have a different definition of that word. The whole Roxas story happens here (sure, it's done more elaborately in another game, but that game didn't exist yet), we learn more about Axel and Namine, as well as their ultimate fate, the purpose of Org XIII, the rest of its members, Riku and Mickey's fates, Ansem the Wise's story and more. My favorite world is The World That Never Was, but if that's too broad to count, the battle with Roxas (the fight itself is Final Mix only). The fight itself is probably the best mandatory fight in the game (also the hardest one, IMO) and in the cutscenes surrounding it, Roxas' story truly comes to an end with him accepting Sora and having a last goodbye with Axel. The fact that his theme plays during the fight is also a nice touch. That Roxas fight was pretty tough. I think I got stuck there a bit when I played the HD remix. I love this game to death despite the negatives I have for it. It’s flashy and fun to play despite being a bit too easy most of the time. I’m just in the minority of preferring the gameplay of the first game. I also enjoyed the story despite it not fully living up to my expectations. I can definitely see where Fynn is coming from with it feeling like filler somewhat. My main issue was that the Disney worlds felt more like a chore this time around. I hated the moonlight mechanic in the Pirates world. I just didn’t enjoy the music of the Little Mermaid world. I go back and forth on the 100 Acre Wood. While not a a true confession for those who ever paid attention to my posts in the past, KH2 is easily my least favorite KH game I've played. Even though the plot of 3D was the straw that finally broke the back and made me decide I didn't care enough anymore to see it end, my real ire with the direction of the series really begins with this game. I'm of the minority who hates the combat, it's not just easy, it's practically mindless for the most part, and the Drive Forms are hardly balanced. I appreciate having a proper camera this time around and the Drive forms do add some variety but it's all flash and little substance which just gets boring to me after awhile. Maybe this is because I cut my teeth on Devil May Cry and it's ilk, but if you're going to go action game, then bring the challenge or at least add something to make the combat more interesting like the way Drive forms were handled in BbS. So yeah, I'm not a huge fan of the combat because it's mostly canned cutscenes and mashing one button. Even the final battle against Xemnas to me feels more like a farce compared the battle with Ansem in KH1 which was at least challenging. 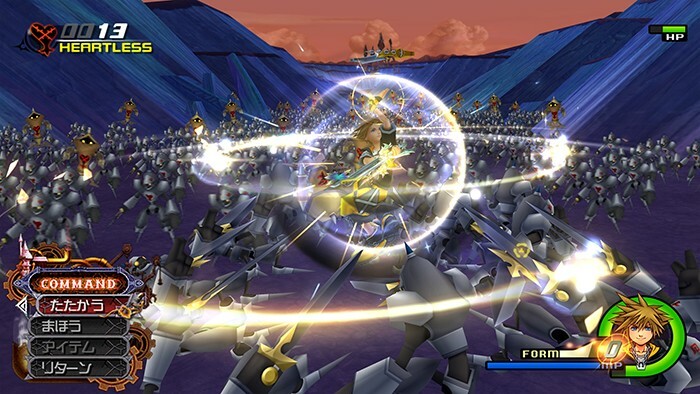 Hell, KH1's combat at least required a little skill on the players part. 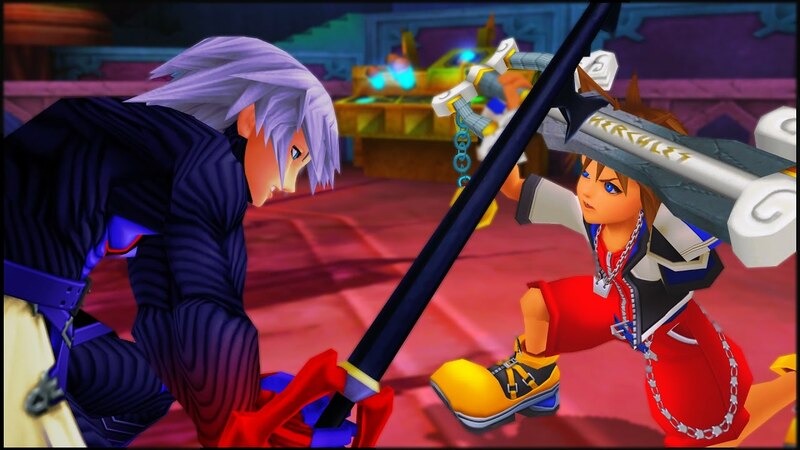 KH2's combat just feels like it wants to let you think your special and badass but I personally find it insulting to do so. The one area where I'll concede that KH2 has better gameplay is the Gummi Ship sequences. I can't tell you how much I hate the Gummi Ship parts in KH1, absolutely hate them, but KH2 actually made them into fun rail shooters and here the spectacle aspect of the game works because the sequences are fairly challenging and shmups are traditionally particle effects show. The plot follows suit, it's just one silly shocking twist after another with nothing to anchor it all in. Riku's whole plot is pretty dumb and is resolved so anti-climatically that it just feels cheap and forced, the fake out death of Goofy is similar, Namine and Kairi have so little in the way of purpose in the title that you almost wonder why they bothered letting them show up, and Axel should have died in the prologue like it was originally planned because it's not like he did anything meaningful after it. The Xehanort twist felt really dumb at the time as well and even now, I still feel like there was no real reason to have Ansem be a separate character because it's not like he's really important to the plot, he's a cryptic figure in CoM and it amounts to diddly squat in payoff in KH2. He was better portrayed in KH1 as the guy we know as Xehanort and him taking over his identity just never even made sense to be honest. I mean you overthrow the guy and then become a Heartless, why take his name? Like Fynn points out, most of the few meaningful plot elements of the game exist simply to hint to all the future games like who this Xehanort fellow? This game is like Amazing Spider Man 2, just setting up all the future sequels instead of actually being a good story. I mean Sora has to wander the worlds to build Light roads or something and not only does this never get much clarification, but it's also never really been brought up again after he does so in both the game itself and every game after it which just makes it painfully clear that's it's just an excuse to justify why Sora has to travel the worlds again, like trying to find Riku and Mickey wasn't enough of an incentive. Also what happened to Org XIII? I mean they're presented as the multifaceted organization with colorful members but KHII pretty much drop kicks that notion our of the story right off the bat. I mean they were one of the best parts of CoM and a great source of drama, the ones in KH2 are basically Mega Man bosses with Xemnas being the only important one. 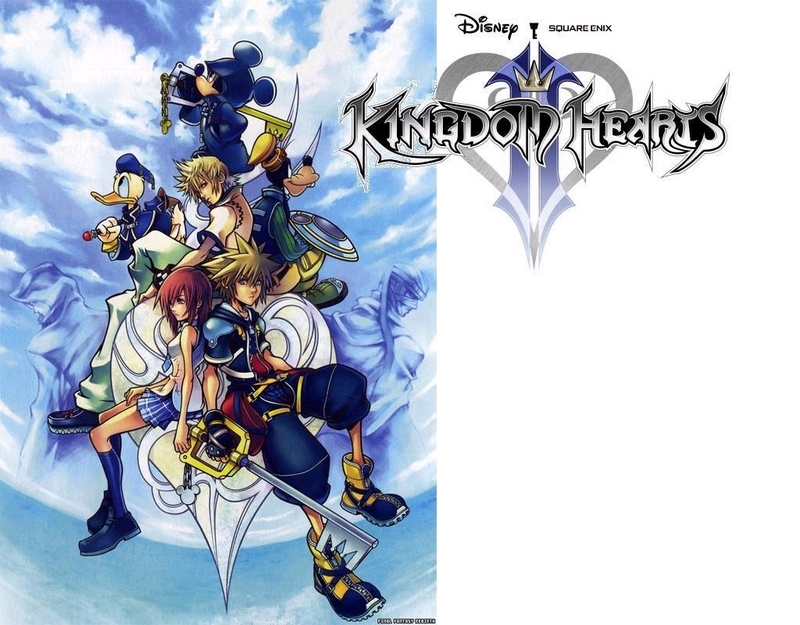 This is also the game that basically tells you that every rule you know about the KH world from the first game no longer matter, Nomura and Nojima decided between CoM and this game that old rules and the princess idea was stupid so we're just going to make up new rules about how Kingdom Hearts works and the whole cosmology of the series, and we're likely going to change the rules again after this game anyway so please don't be butthurt by our inconsistency. KH2 is basically when the plot decided to run on pure Rule of Cool. It doesn't have to make any logical sense, it just has to sound and look cool when we do it. They did the same nonsense in the Compilation of FFVII and both franchises as a whole have been running on it since about 2006. Now with that said, I agree with Fynn that Roxas Prologue sequence is easily the best part of the game from a story standpoint, where I don't agree is that it magically redeems the rest of the game's "seat of there pants" writing style. Roxas, in those few hours showed more depth and intrigue as a protagonist than Sora has in the course of the whole series. I am always disappointed when the game finally switches back to Sora. So yeah, I hate the plot. One thing I will give KH2, and this might be another reason why I'm a still a bit salty about my dislike of the game side of things, is the fact it has my favorite set of worlds in the whole franchise. Barring the Pirates world which was terrible and simply felt like SE banking on the popularity of the film franchise at the time; I actually love every location in this game because it largely hits all of my right nostalgia buttons. I even love the Little Mermaid World, but I also love Rhythm Games and you haven't lived until you've heard Japanese Donald Duck sing. My only real complaint with how the worlds were handled is not the "let's just insert our new characters into Reader's Digest version of the plot" cause as WarZidane points out, KH1 pretty much started that trend, it's actually the lazy bulltrout that is making us go through all the worlds twice. It's like they knew they only really had enough content and story to last ten hours but needed to push it to twenty so the fans wouldn't whine but I generally hate backtracking in games, especially when the plot forces me to do so. We could have easily just condensed both story sequences into one setting and got more bang for our buck in each world instead of just playing one little part, getting booted out and then having to go back ten hours later to actually resolve all the conflict. If you weren't being constantly bombarded with plots twists and shock value sequences, I feel most people would be aware of how off the pacing of this game is. Still, while agree with most of the grievance you and many people around the Internet has expressed, I mostly don’t care because for me it’s obvious that the story is being made up as it goes along (though not completely, which I’ll elsborate on later) but that doesn’t hamper my enjoyment because KH to me never fails to deliver in the feels, and this series is the epitome of feels over reals.